I had to post this recipe before the next round of football playoffs and the Superbowl begins. My husband loves these and they taste just like a White Castle, but better. Enjoy! Vlassic Rounds dill pickle slices. Brown the beef with the onion. Add the onion soup mix and cheese, mix to combine. 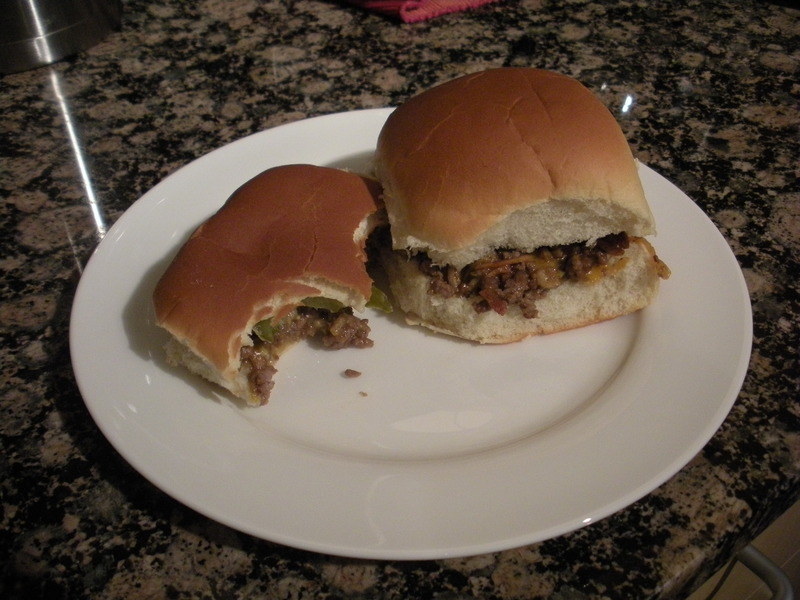 Top with a pickle slice, place the top of the roll on each burger.